There are 7 types of botulinum toxin, identified as a, b, c. d, e, f and g. Type A is used for BOTOX. The product is provided in powder form and contained in a vacuum packed glass vial. This is then reconstituted with saline before use. In cosmetic medicine there are also different brands that are licensed for different cosmetic uses and the indications that can be treated with a specific brand. The BOTOX brand is approved (2017)to treat the glabellar, periorbital and horizontal forehead lines. Other brands may not be approved for some of these indications. When BOTOX training is mention in advertising the course should cover the specific branded product. BOTOX is not a generic term, it is a brand name. The units and doses for each toxin brand are NOT interchangeable. There are many online courses for this subject. 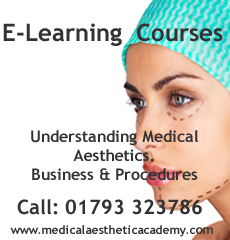 Medics should contact a recognised training provider for more information about non-surgical procedures. This condensed video reviews the foundation botox course provided by KT Training. All courses include supervised injection time with patients. These products are prescription only medicines, therefor they require a medical professional with a prescribing qualification to assess the patient and write a named prescription. BOTOX™ registered trademark belongs to ALLERGAN Inc.